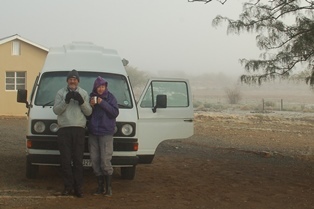 This trip was under-taken to survey Sociable Weaver nests in the Northern Cape and other species using their nests, by Barry and Sue Schultz and myself. At the same time Virtual Museum records were collected for all but two projects (Birds with Odd Plumages, and Atlas of African Echinoderma) - submit any project photos you have at Virtual Museum upload site. 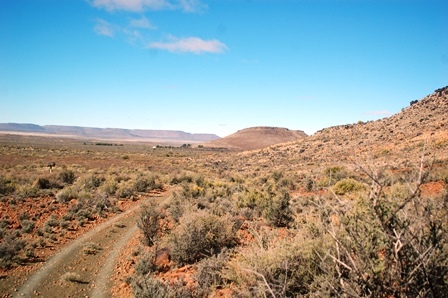 The planned survey area was farms and untarred roads in the area bounded by Williston, Carnarvon, and slightly north of Vanwyksvlei and Brandvlei. A punctured tire, however, meant a trip to Upington and resulted in continuing the survey in that area. More news to follow when all the Sociable Weaver records have been uploaded! Thanks to the great hospitality of the farmers who hosted us! The University of Turku, Finland via Robert Thomson provided most of the funding for the project. Equipment was funded by a PERC Research Development Grant (Project for the Enhancement of Research Capacity, UCT).